Wake Orthopaedics is pleased to announce the addition of Dr. Alan Summers to the team. 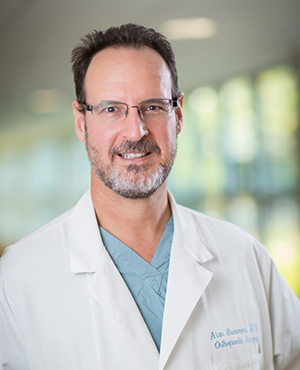 Dr. Summers is a Board Certified Orthopaedic Surgeon and a Fellow of both the American Academy of Orthopaedic Surgeons and the American Orthopaedic Society for Sports Medicine. Dr. Summers is an accomplished surgeon with expertise in arthroscopic procedures of the shoulder, knee, hip, elbow and ankle. Dr. Summers performs total knee replacements as well as partial or Uni-compartment knee replacements. He cares for a variety of orthopaedic conditions and feels well suited to care for all patients, from pediatrics to geriatrics. Learn more at Dr. Summers' bio page.